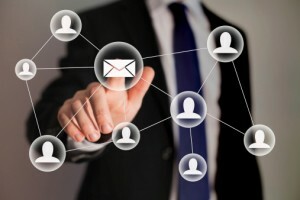 E-mail marketing is being praised as one of the more effective tools for building relationships with potential consumers. Subscribers to your list have already taken the first step by willingly giving you their contact information and permission to e-mail them. It’s now up to marketers to properly manage customer expectations, and one of the proven strategies to get that done is by positioning your company as an industry expert. Marketers should know by now that today’s consumers do not react well to constantly being pitched to. Consumers prefer to feel like they are getting more out of the experience than sales tactics—they expect a far more personal relationship with the brand with which they interact. Marketers can take advantage of these expectations by establishing a rapport with their subscribers by offering valuable industry information. Doing this builds trust with subscribers; it makes them feel comfortable knowing the exchange is not just one-sided and that they are getting value for becoming subscribers in the first place. How-to articles or content clarifying current industry trends are also good ways to create content. Furthermore, don’t feel obligated to relate all of the content directly to your company. When sending out informative e-mails positioning your business as an industry expert, you must remember to keep track of what consumer cycle stage each subscriber is currently in. By carefully and thoroughly segmenting your subscriber list, you will be able to send relatable e-mails that consumers actually care about—all based on their previous behavior. As marketers go through the process of providing content, it must be done with the end goal in mind of eventually converting subscribers into paying consumers. Macromark has over 20 years of direct marketing experience in leading campaigns and helping businesses reach their conversion goals. Contact us today for details on what we can do to help you better reach your target audience.